The Virginia State Police was out in full force over the Thanksgiving weekend, citing thousands of drivers for reckless driving, speeding and other traffic violations, reported CBS affiliate WTVR. The surge of state police presence was part of Operation C.A.R.E. (Crash Awareness and Reduction Effort). This operation was designed to maximize safety and minimize accidents. As a result, troopers were monitoring state roadways in increased numbers throughout the holiday weekend. Despite an intensified presence from law enforcement, there were still 12 fatalities from automotive accidents from Wednesday morning through Sunday at midnight. There was evidence of alcohol consumption in two of the accidents. And approximately four of the deceased people failed to wear their seat belt. By comparison, there were 14 automotive casualties over Thanksgiving weekend in 2017. 102 drivers were cited for driving under the influence. In light of these circumstances, it seems like an ideal time to review applicable state laws concerning reckless driving and speeding in Virginia. Code of Virginia Section 46.2-852 establishes the baseline definition of reckless driving. In general terms, reckless driving applies to any driver who operates a vehicle in a dangerous manner. When a driver causes an increased risk of physical injury or property damage, it normally qualifies as reckless driving under state law. Furthermore, Virginia law provides for a number of specific reckless driving provisions. Of particular note in this context, Virginia includes two types of speeding in the definition of reckless driving. First, Code of Virginia Section 46.2-861 makes it unlawful to drive unreasonably fast in light of highway or traffic conditions. Specifically, Section 46.2-861 requires drivers to pay attention to driving conditions, such as weather or traffic, and adjust their speed accordingly. 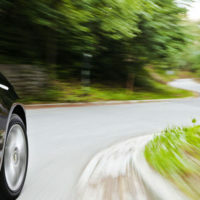 If a driver exceeds a reasonable speed under the circumstances, they may face criminal charges for reckless driving. More than 80 miles per hour regardless of the posted speed limit. Outside of the conditions listed above, drivers are still required to adhere to all legally posted speed limits in Virginia. If a driver exceeds the maximum speed limit by law, by any margin, then they may be subject to a speeding ticket and corresponding fines. If you are facing criminal charges for reckless driving in Virginia, it is wise to speak with a trusted criminal defense attorney. The attorneys at Simms Showers LLP, servicing Leesburg, Winchester, Fairfax, and Manassas, are well-seasoned in the field of criminal defense in Virginia, including charges for reckless driving. If you need legal help with criminal defense, contact us today for a free initial consultation.